The SS Yongala is a world-renowned wreck dive about 48 miles south of Townsville. 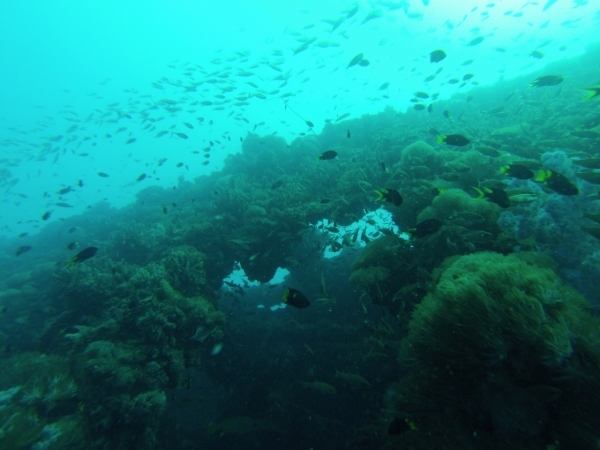 The 350 ft (107 m) luxury liner Yongala disappeared during a 1911 cyclone and the wreck was not discovered until 1958. 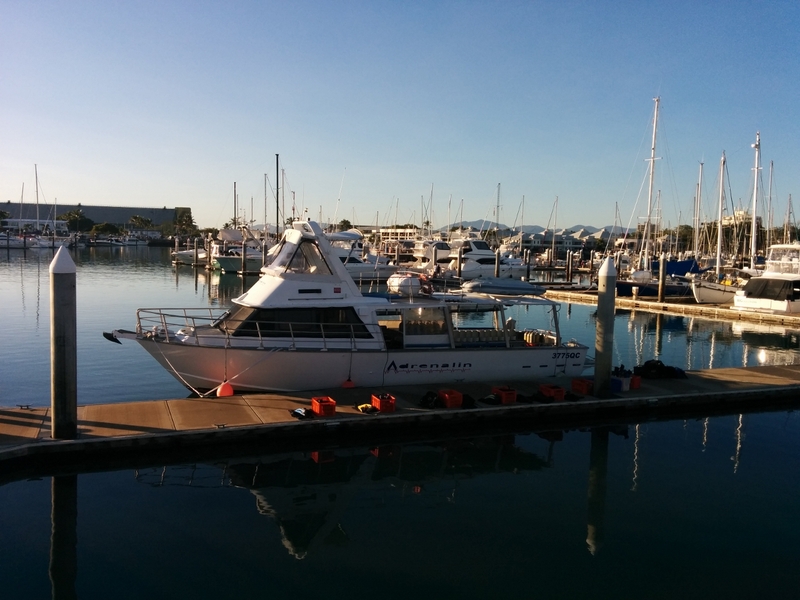 The site now is protected under the Australian Historic Shipwrecks Act, and boats must have a permit to visit, so we booked a day trip with Adrenalin Dive. 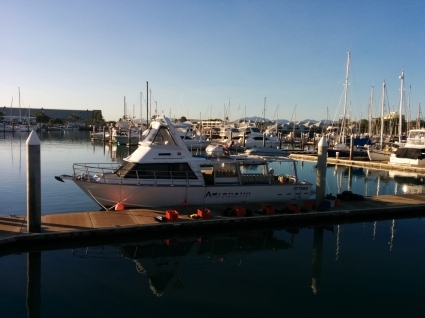 The dive boat leaves from the Breakwater Marina, about a 20-minute walk from where we were moored at the Townsville Yacht Club, so we loaded our gear into our folding cart and walked over. 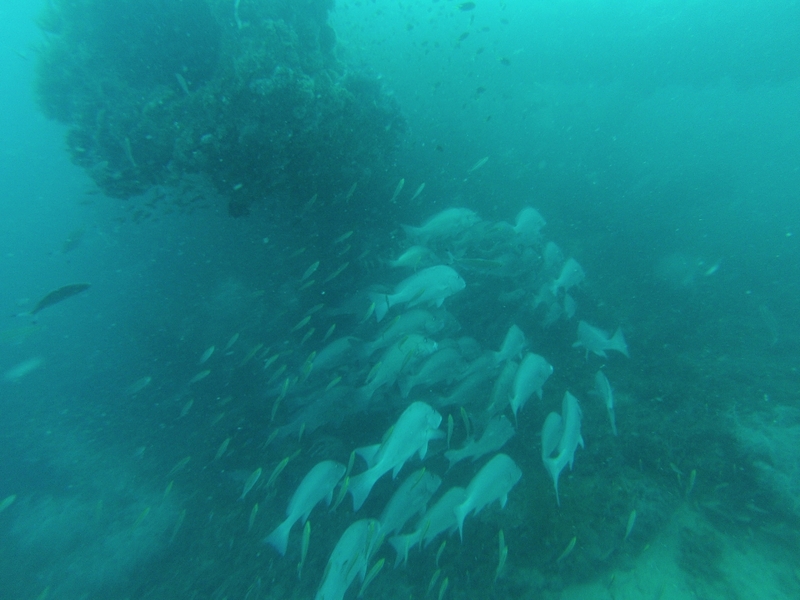 Adrenalin did a great job of getting us to the dive site and back, and managing the dives. They were carrying close to a full load but the boat didn’t feel at all crowded. 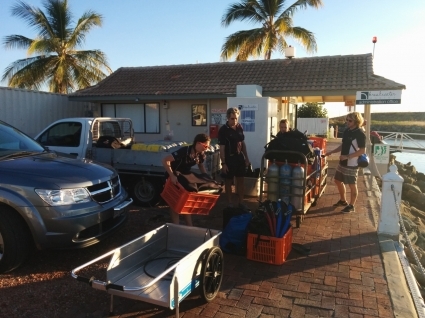 Guided dives are available, and independent dives are allowed for experienced divers. 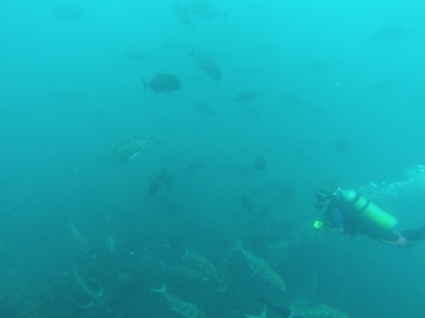 We chose to dive independently and the other divers on board were a mix of both. 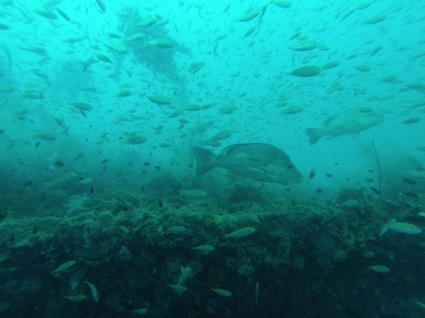 The diving was fantastic–the hundred-year-old wreck is encrusted with corals and surrounded by huge schools of fish. The wreck lies in about 100 ft (30m) of water, with the top about 50 ft (16m) below the surface, so we were able to do two fairly long dives without slipping past decompression limits. 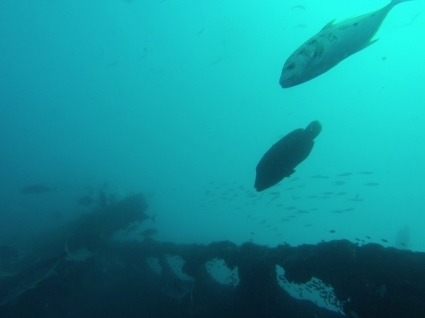 The pictures below show highlights from the dives, and the 5-minute video at the bottom of the post shows a pass along the hull from the amidships to the stern and gives a real feel for quality and quantity of the underwater life and a good view to the wreck itself. 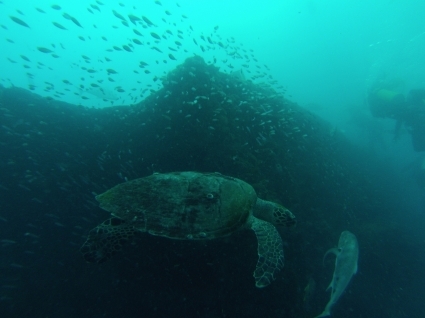 Each time we watch the video, we’re reminded of what an exceptional dive it was. On a good day the Yongala has to be one of worlds very best dive sites! Marco, you are so right. The Yongala is a real treat. 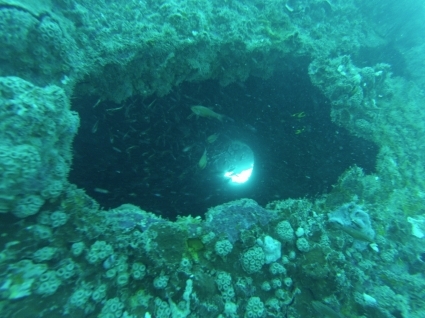 The combination of good clean current and ample area to support coral with plenty of bright sunlight and lots of places for fish life to hide makes it a unique diving experience. Thanks to Rick MacClure of the Gold Coast who was the first to tell us about the Yongala and describe it was a must dive location.